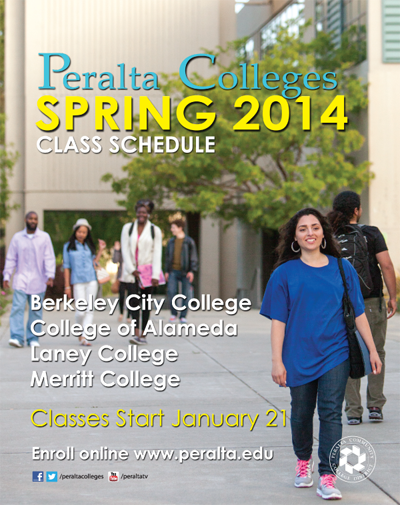 The Peralta Colleges are happy to announce that the Spring 2014 schedule of classes is now available in a pdf file for you to download and review! Remember to enroll early to get the classes you need. Classes start Tuesday, January 21, 2014. We look forward to seeing you next semester!